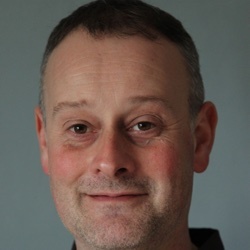 Ben Chapman, MA, Dip Couns, BACP Accred, BAPPS, EMDR UK & Ireland accred. I retrained in counselling and psychotherapy after a long and varied career in community work and social work. Following completion of my postgraduate psychodynamic counselling diploma at Birmingham University, I began my therapeutic career working for a long-term NHS adult psychology service. Following my BACP accreditation I set up my private practice in the Worcester and Malvern areas. Originally my private practice consisted of several strands. In addition to private self-referrals I was an associate of Worcester Therapy Group for five years, a private contractor for the NHS Sexual Health and Psychosexual Counselling Service in Worcester for seven years as well as a member of the West Mercia Police Affiliate Network for seven years. During the development of my practice I completed training in Group Therapy, CBT, and completed my full EMDR training. I also trained as a level 7 Clinical Supervisor for Counsellors and Psychotherapists. I went on to become an approved supervisor for British Association of Psychoanalytic and Psychodynamic Supervision and a fully accredited Practitioner with EMDR UK and Ireland. In 2015 I consolidated my private practice which focuses on the provision of counselling and psychotherapy to individuals and couples that self- refer, the provision of specialist EMDR services to individuals and clinical supervision to counsellors and psychotherapists.